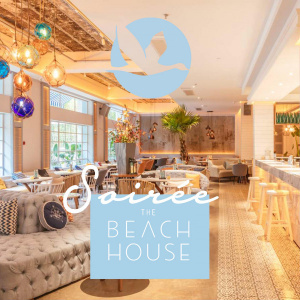 Please join us at The Beach House for one of our Soirée events of which we will have a musical performance and professional photographer for the evening. This place is so comfortable and colorful...sort of like being in your dream home if that was a giant beach house in the Hamptons, NY. There is plenty of room to relax and mingle over cocktails. We look forward to see you for a wonderful evening...be ready to meet great people from all over the world. Dress code is sports coats for men and bright Hamptons colors for ladies.